Secrets tend to reveal themselves at the worst time, especially in the cold. 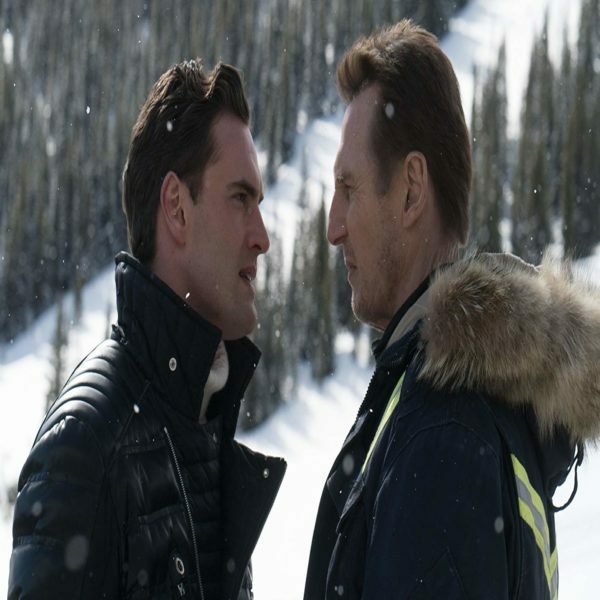 The new thriller titled Cold Pursuit, the newest entry in the varied assortment of Liam Neeson action/thrillers has some fun parts but it may not be what you’re expecting. 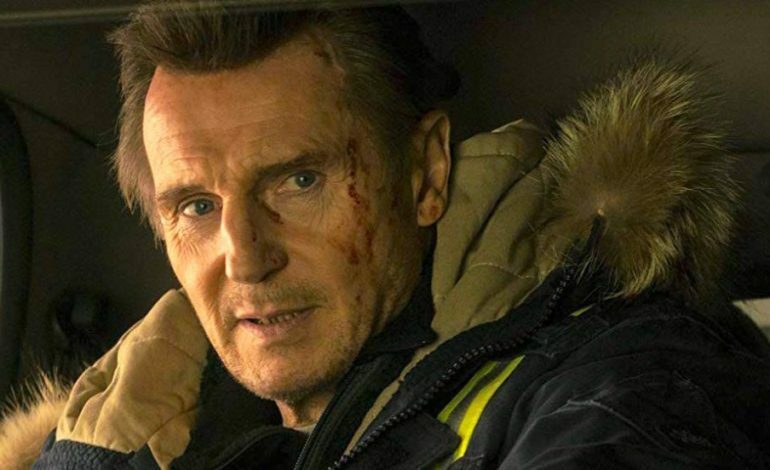 From the over-the-top action in Taken to the subtle thrills in The Grey, Cold Pursuit lies somewhere in-between and that may be a good or bad thing for the audience. This is a remake of a Norwegian film titled In Order of Disappearance and is directed by the same man, Hans Petter Moland. The result is a darkly funny thriller that lacks the usual action of Neeson’s earlier films and in its own way is quite effective but in the end, feels somewhat tedious. The story takes place in Kehoe, Colorado. It’s a three-hour drive from Denver and the snow is in high supply. Neeson plays Nels Coxman, a snowplow driver who has just been named “Citizen of the Year” in the small ski resort town. The good news turns south rather quickly when the police arrive to inform him of the death of his son. He died from a heroin overdose but Coxman is sure that his son wasn’t a druggie. He wants answers. The police department kicks the investigation over to the Vice squad and that’s the end of that. Coxman and his wife, Grace (Laura Dern), struggle at home following their devastating loss. They argue and are out of touch until she finally leaves. In fact, Grace’s departure is the last time we see her. One day at work, Coxman learns the truth. His son was killed by a drug cartel after a cocaine theft his son helped facilitate. Coxman tracks down the men connected to the cartel and murders them one-by-one. Some of the scenes are quite funny in ways that will surprise you but overall, this isn’t a movie about Neeson killing lots of bad guys. The story is told from multiple points of view. First, we have Trevor “Viking” Calcote (Tom Bateman) who is the local drug lord in Denver whose cocaine was stolen by Coxman’s son. We also have White Bull (Tom Jackson), an Indian drug lord who has a connection to Viking, not to mention, Officer Kimberly Dash (Emmy Rossum) who has a few questions of her own. The supporting characters have depth and it’s nice to see that the script allows each character to be fully realized. The audience in attendance laughed at certain points but the overall feeling in the theater was perhaps boredom. There isn’t much action in the movie which focuses on character development in lieu of wild gunplay and that’s a nice thing. The movie has a big story at heart but it loses focus to tell the back story about the drug cartel so that we can understand the motivations of the characters involved. I will say that I enjoyed Tom Bateman’s character the most. He’s funny, cruel, and even plays fair at times, upstaging everyone as the most interesting person in the movie. I think the movie’s marketing campaign, putting Neeson at the forefront, didn’t get the correct memo for this project. Cold Pursuit is darkly funny and the script is written well to achieve some laughs. However, if you’re expecting a typical Liam Neeson movie then you may find yourself wanting more. The film’s plot feels tired because I became bored by how all the characters we meet die rather quickly. Frank Baldwin’s script will win over people looking for a quiet thriller that isn’t so noisy. Even so, I wanted more from the film. This may sound lame but I wanted more Neeson in the movie. Maybe not with the gun-wielding and face-punching but I wanted to see more of his character. Cold Pursuit is a thriller with a lot of potential but is bogged down by too many characters and lack of focus on a father’s struggle after losing his son.